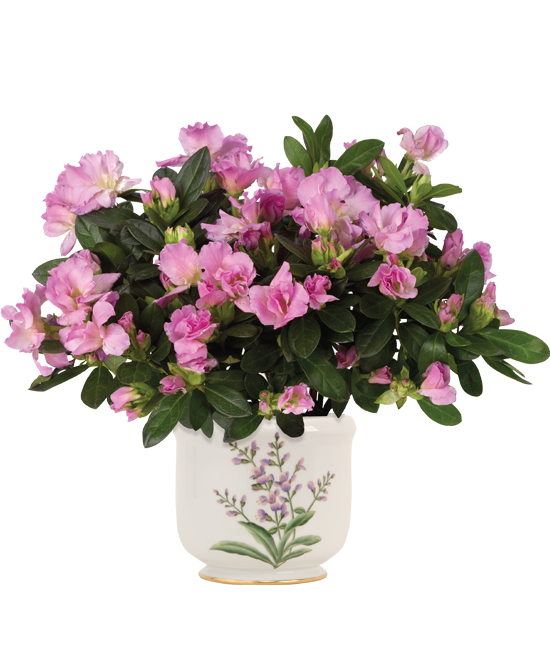 This sweeter-than-sweet azalea plant is a surefire way to make your special someone smile. Perfect for birthdays, baby showers or to brighten any day; the happy plant is shipped in bud and bloom with an umbrella of green foliage topped with ruffly lavender blossoms. To enhance the brilliance of the blooms, we’re featuring the 4 ½” grower’s pot in our floral inspired cachepot. Available in lavender (shown), pink and white.